We’re experienced interviewing and interacting with celebrities from across the globe. Below are a few photos we took while on assignment to interview these people for Minute Morning Magazine. 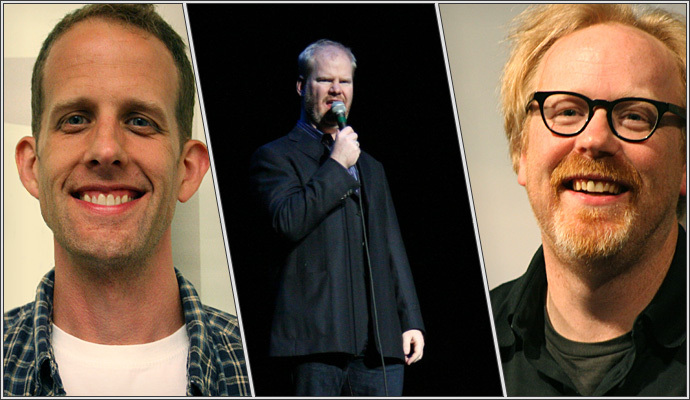 Pictured from Left to Right are: Pete Doctor from Pixar, the director of Monsters INC and UP, Comedian Jim Gaffigan, and Adam Savage from the Discovery Channel’s Mythbusters. We’re available for all of your editorial photography needs!